It’s the holiday season. Every where you go you are bombarded with reminders that is only x number of days til Christmas. The turkey price war is raging. But you are occupied with another war far away. One that means your son or daughter won’t be home. There will be an empty chair at your holiday table. And even if they are safe and sound somewhere in the US you fight the battle against melancholy. Every mom wants their kid home for the holidays. I hear you. This time of the year can be a struggle to fight against the cheeriness of so many families reuniting. An innocent question: “Will your kids be home for Thanksgiving/Christmas? can sometime be met with tears. It all depends on the weather of the heart. Is this a raw day with the winds of change blowing fiercely? It’s not the way it was. So what is a mom to do to fight back at the storms that buffet her soul? It’s been almost a decade since I have had my four home for Christmas. This was supposed to be the year. But a surprise deployment cancelled those plans. After a pity party (yes we are allowed those every once in a while) I did what I learned to do as a military child. You pull up those boot straps and make a decision and a plan to overcome. I will find gratitude and joy even if it is in different ways than I did in the past. What is in your holiday battle plan? Mine includes a lot of creativity and crafting. When I am making something I feel an accomplishment that helps soothe my soul. 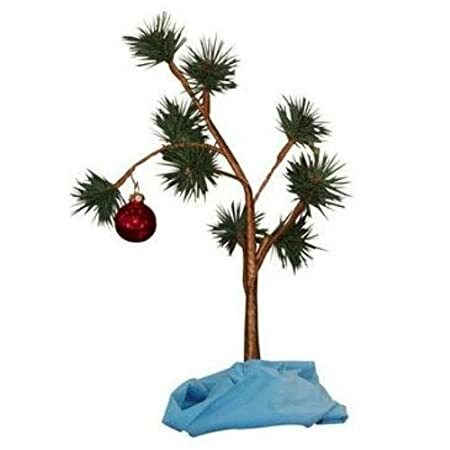 I fill care packages including one with a Charlie Brown tree as pictured below. You have to have a sense of humor! I throw out traditions. They feel hollow without my children here. Instead of lamenting our table for two my husband and I will travel to a mountain lodge for a Thanksgiving brunch. I will try to find a place to volunteer on Christmas Day to fill the emptiness and quiet the memories of days past. I will focus on the meaning of the holidays.I am thankful that all are safe and my family is multiplying with a new baby arriving right when that reason for the season arrived 2000 plus years ago. 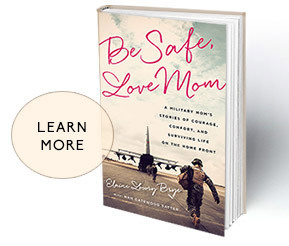 We mommas need to be brave, even when it is hard. Put on your armor and fight the blues. Be grateful our country has young people like ours to stand in the gap even though we’d rather they be sitting at our table at home. Look for joy where ever you find it. And remember you are not alone. There are thousands of us standing with you fighting the fight to keep this season blessed. We can do this. Share what you do to overcome and find joy and peace. We can always use more ammunition against the holiday blues.